How do I get QuickTime to store temporary recordings on another drive? When you do a movie recording or screen recording, QuickTime stores the in-progress recordings in ~/Library/Containers/com.apple.QuickTimePlayerX/Data/Library/Autosave Information. On my machine, I have a fast SSD mounted on /Volumes/SSD but a slow platter drive on /. I'd like to send the autosave files to the SSD. With professional programs like Premiere, you can just set the scratch location, but with QuickTime it seems impossible. However, I really like QuickTime's screen recording feature and would like to use it with my fast SSD. I tried to ln -s the Autosave directory to point at my SSD, but QuickTime errors out with an "unknown" error after that. A much more robust way to do this is to store your entire user folder on the external drive. This avoids needing terminal and also avoids confusion with symbolic links and them breaking when software doesn't expect to see a link or a system upgrade script touches the Library folder contents. You could make a second "recording" user to log out of the normal user and have all that user's files on the external drive. Navigate to the external drive (Command-Shift-C shows the computer). 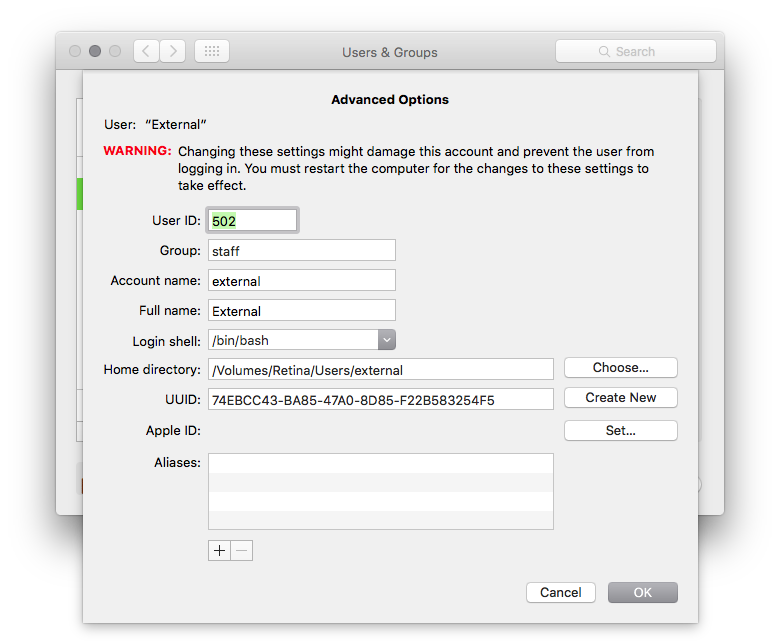 I use the Command-Shift-N shortcut to make a new folder called Users, then make a second new folder inside the /Volumes/Retina/Users folder named external - the same case as the user's short name. 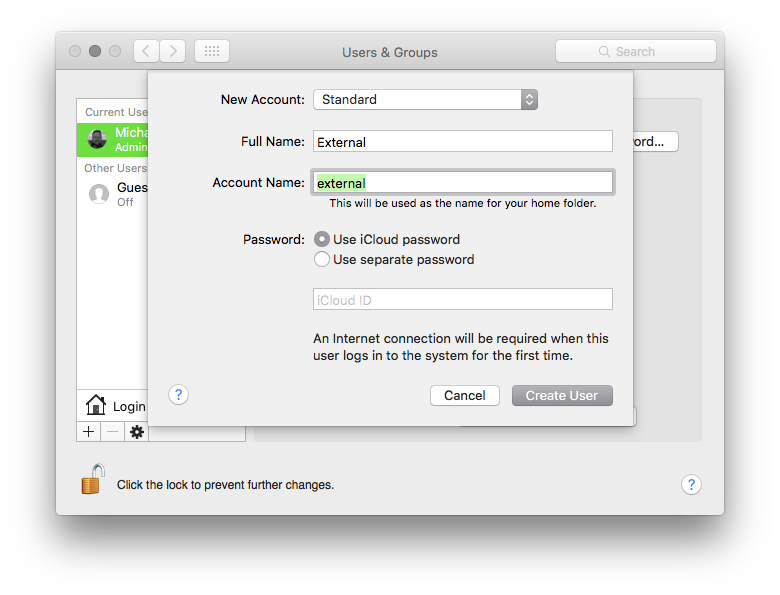 Then you can use the Apple menu to log out of your current user (or enable fast user switching) to change between the user that has all temp files and recordings to the external drive by logging on to the "external" user account. and voila! This sets up Data as a link pointing to the local DataSSD file, which in turn is a link pointing to the actual SSD scratch location. QuickTime works fine now, and puts its temp files on my SSD just as I wanted. No more screengrab stutter! Not the answer you're looking for? Browse other questions tagged quicktime . Can you still make QuickTime to store temporary recordings on another drive? How do I install QuickTime 10.1 on Snow Leopard? QuickTime add-ons? How to tell what's needed? Where does Quicktime store its screen recordings? 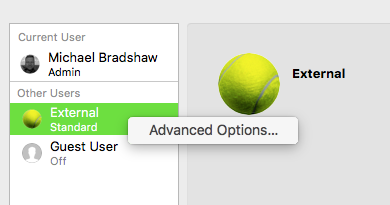 How do I change settings in QuickTime 10? How to make screen recordings from Quicktime louder without re-rendering the whole video? QuickTime Player: How to Reduce Playback Speed? How do I get a freeze frame from a Quicktime movie?